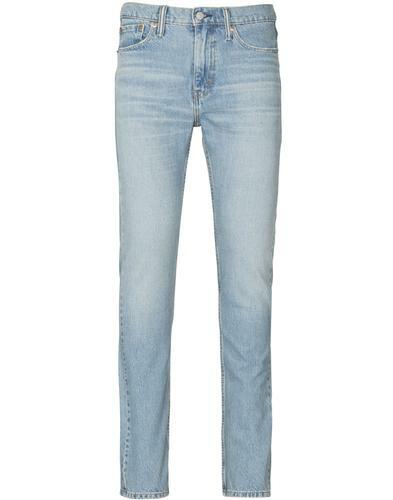 Wrangler 'Bryson' men's retro skinny denim jeans in dusty blue. The dark blue denim is treated to a subtle vintage worn detailing that runs down the front of the leg from the thigh to just below the knee. Featuring contrast stitching and iconic Wrangler 'W' back pocket detail. Wrangler 'Bryson' jeans pack a mean indie rock n roll punch. Team with indie T-shirt or western shirt for a timeless retro look. 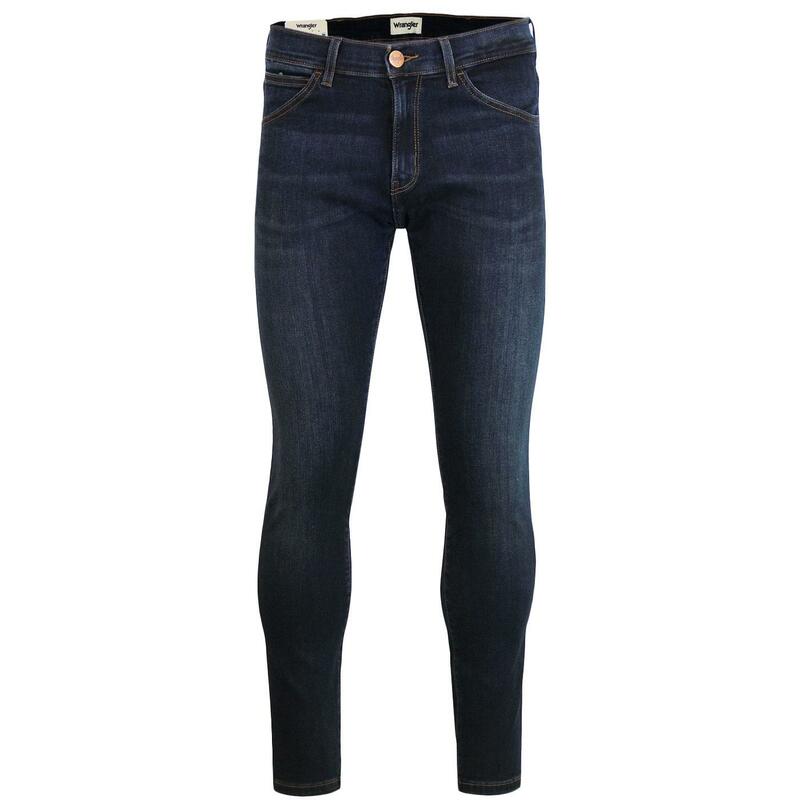 - Wrangler 'Bryson' men's retro skinny leg denim jeans in dusty blue. - Slight vintage distressed detailing to front leg. - Wrangler 'W' back pocket stitching. - Wrangler back pocket leather signature tab. - 5 Pocket western styling. 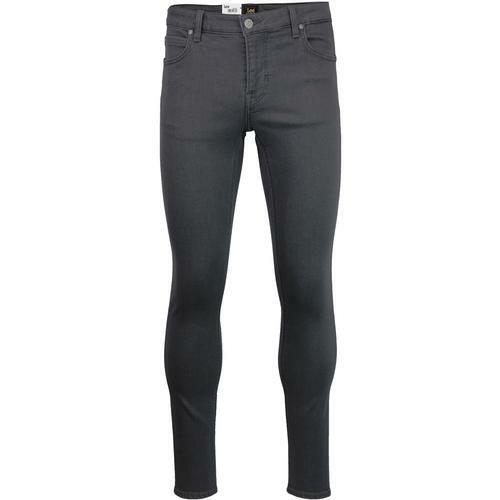 - SKU: W14X SQ 21C Bryson Skinny Jeans. Composition: 93% cotton, 5% elastomultiester, 2% elastane. Care: Machine wash. Please refer to garment care label. Please note: Colour may transfer by rubbing onto lighter coloured garments.